It might be the most advanced performance sedan ever. The 2017 RLX Sport Hybrid is the standard bearer of Precision Crafted Performance in the Acura portfolio. Our simple goal is to stir the driver in you, providing exceptional power and agile handling, while never losing track of our focus on visionary innovation. High-tech in virtually every respect, the Acura RLX at Acura Pickering features a one-touch shifter, providing pushbutton mastery over the Sport Hybrid’s power plant. This fully electronic gear selector eliminates the conventional shift-lever and allows the driver to select available drive modes at the push of a button. The Acura RLX Sport Hybrid is engineered to dynamically vary accelerator stiffness to assist the driver in applying optimum engine power in any driving condition to help benefit fuel efficiency or maintain traction. Variable Cylinder Management is crafted to help the Acura RLX increase its fuel efficiency by automatically changing the V6 engine to run on six or three cylinders, depending on the driving conditions. The cylinder activation is engineered to be seamless and not felt by the driver or its passengers. 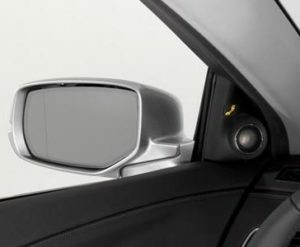 The available surround view camera system is designed to assist drivers during critical and precise maneuvers in snug parking situations. Visibility is taken to a new level using four separate cameras that can be viewed independently or combined to create a composite “bird’s-eye” ground view. 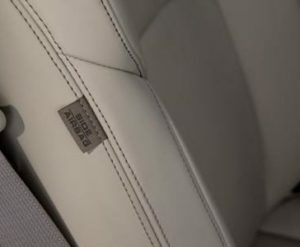 The Acura RLX is equipped with the AcuraLink connectivity system, delivering a suite of information, media, convenience and security services via embedded two-way communications and web-enabled devices. 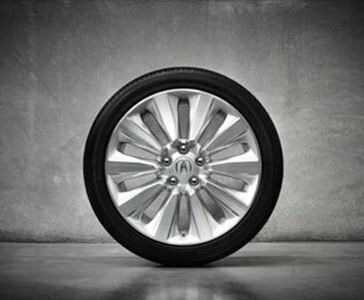 In the corners, it performs like nothing you’ve ever seen from Acura Pickering. Our revolutionary Super Handling All-Wheel Drive system is coupled to a hybrid-electric Twin Motor Unit (TMU). This set-up is engineered to dynamically distribute torque to each of the rear wheels, producing precisely-tuned handling at the will of the driver. Unlike some conventional hybrids, performance is enhanced on the RLX Sport Hybrid instead of diminished. Three separate electric motors are married to a 3.5-litre i-VTEC V6 engine to deliver 377 combined horsepower and 341 lb.-ft of torque at 4,700 rpm. Unlike a conventional transmission, the 7-speed dual-clutch transmission offers ultra-quick gear changes. Drivers choose between fully-automatic Econ and Sport modes, or the exhilaration of shifting manually via race-inspired paddle shifters that are intuitively mounted behind the steering wheel. Finding the ideal driving position is easy with the standard heated and 12-way power adjustable front seats, including 4-way power lumbar support and programmable driver recognition memory. Ventilated front seats are available for heating and cooling on the RLX Elite. An additional measure of comfort on the RLX comes from the standard heated rear seats. At-a-glance access to key driver inputs projected in precise, crisp and full colour on the windshield. 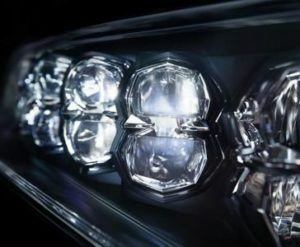 Display modes include Sport Hybrid system operation, turn-by-turn navigation, speedometer, and compass, as well as alters from various driver-assist systems. 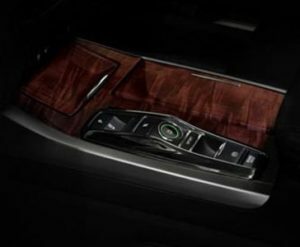 The Acura RLX Elite trim comes equipped with an audio system designed and built by legendary Krell Industries. Every Krell component used in the RLX upholds their legacy, including an incredible 14-speaker array that delivers premium fidelity. Intelligent design has graced the Acura RLX with a spacious, comfortable and balanced cabin you might typically associate with a much larger luxury sedan. Luxurious finishes in the form of soft, Milano leather-trimmed seating surfaces and chestnut wood grain accents complete the cabin’s welcoming aura. The Acura Lane Keeping Assist System (LKAS) is designed to work proactively to help keep the vehicle inside the detected lane. 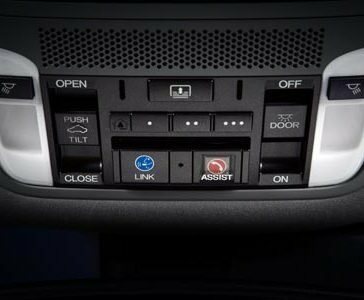 If the car begins to cross detected lane markings unintentionally, the Lane Keeping Assist System is engineered to apply light steering torque to return the vehicle to the centre of the lane while a continuous beep inside the cabin is provided to alert the driver. 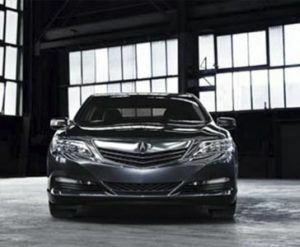 Should the Acura RLX begin to drift out of its detected lane without a turning signal being applied, the Lane Departure Warning system is designed to provide both an audible and visual warning to alert the driver. This connection between machine, road and driver is achieved through an onboard camera that is designed to monitor the vehicle’s lane position at all times while driving. Not only will you be aware of the luxury that surrounds you in the Acura RLX – but you’ll also be more aware of the road in front of you. If that gap begins to close too quickly, the system is engineered to use both audible and visual warnings to inform you to reduce your speed. The standard Collision Mitigation Braking System was developed to help reduce the likelihood of a frontal collision. The system is designed to alert the driver of a potential collision and take certain steps to help mitigate the severity of a frontal collision if the system determines it to be unavoidable. As with so many of its features, the Acura RLX takes the conventional cruise control system and enhances its performance benefits for the driver. 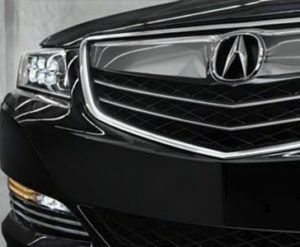 Using an advanced radar system, hidden discretely behind the front grille, the Adaptive Cruise Control with Low-Speed Follow system is engineered to allow the Acura RLX to follow the vehicle in front at a set distance, starting and stopping and appropriately with the flow of traffic. 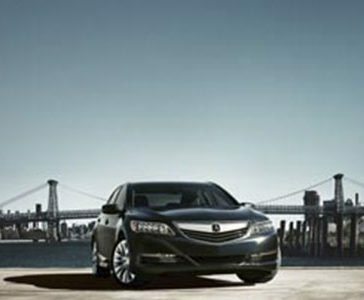 Acura Pickering proudly services and provides the both new and used Acura RLX models to Pickering, Toronto, Toronto, Ajax, Whitby, Oshawa, Bowmanville, Port Hope, Cobourg, Uxbridge, Stouffville, and Peterborough. §None of the features we describe are intended to replace the driver’s responsibility to exercise due care while driving. Drivers should not use handheld devices or operate certain vehicle features unless it is safe and legal to do so. Some features have technological limitations. For additional feature information, limitations and restrictions, please visit www.acura.ca/disclaimers and refer to the vehicle’s Owner’s Manual. ∆Subscription required. One year complimentary subscription to AcuraLink Standard, AcuraLink Connect, and AcuraLink Premium included, after which fees, taxes and other charges will apply in order to continue the subscription. Ask your dealer for full terms and conditions.